“Let Them Eat Cupcake” is a fun and interactive cupcake-decorating workshop with a fixed curriculum. Participants will get acquainted with the basics of cupcake-making, including filling and covering cupcakes with delicious frosting and many piping techniques to embellish their cupcakes. At the end of the workshop, you will be a cupcake decorator expert, even for those without any prior experience! We will provide all cupcakes and an assortment of decorating supplies. Space requirement: No kitchen needed. A conference room or meeting room with enough tables and chairs to accommodate your full group. A stage or open space at one end of the room is helpful. External locations are also available upon request. 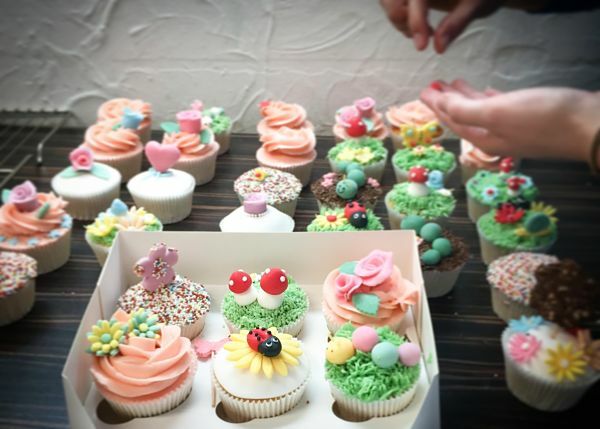 What’s included: A cake designer to teach and facilitate the workshop, all necessary ingredients and equipment, and special packaging to take home your own decorated cupcakes. In case there are particular skills you want to learn, bespoke half or full day programs are also available upon request.